Aliket is a continuous line lighting system, with LED technology, being specially indicated for the illumination of any commercial space. Versatile luminaire mounted with LED technology Osram Duris E5 for installations at medium altitude and Oslon SSL for high altitudes installations, which, together with their performance and different systems of distribution of the light beam, control systems and emergency kits, resulting in a luminaire perfectly adaptable to any kind of surface. Aliket LED es muy versátil, dotada con la tecnología de LEDs Osram, Duris E5, para instalaciones a altura media y Oslon SSL para grandes alturas de montaje que, unido a su rendimiento y a nuestros diferentes sistemas de distribución del haz de luz, a los sistemas de regulación y kits de emergencia, dan lugar a una luminaria perfectamente adaptable a cualquier tipo de superficie. 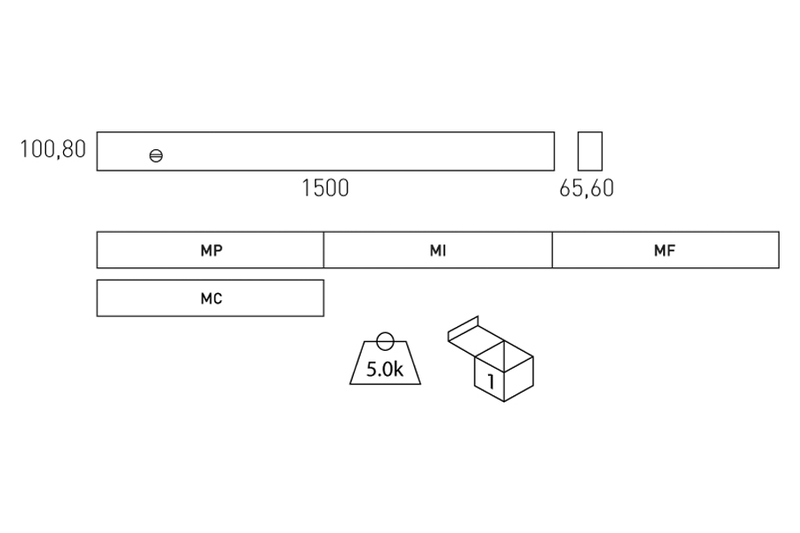 Aliket, thanks to its innovative design, it makes the join of the modules easier and more simple, simply introducing the connector tho the next luminaire, and so on, until the continuous line is completed. 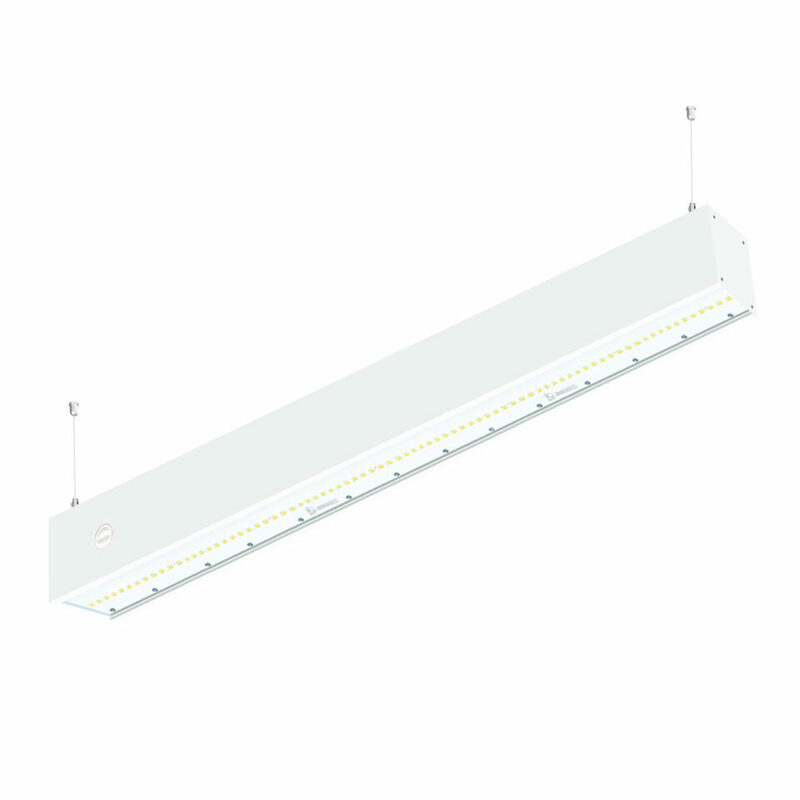 Up to 55 meters in a line of luminaires with a single point of supply. Smart and modern aesthetic. Luminaire with a versatile design that fits perfectly in any kind of space (parking, shops, education, offices, industry and in any kind of application that needs illumination through continuous line). Integrated drivers within each module. 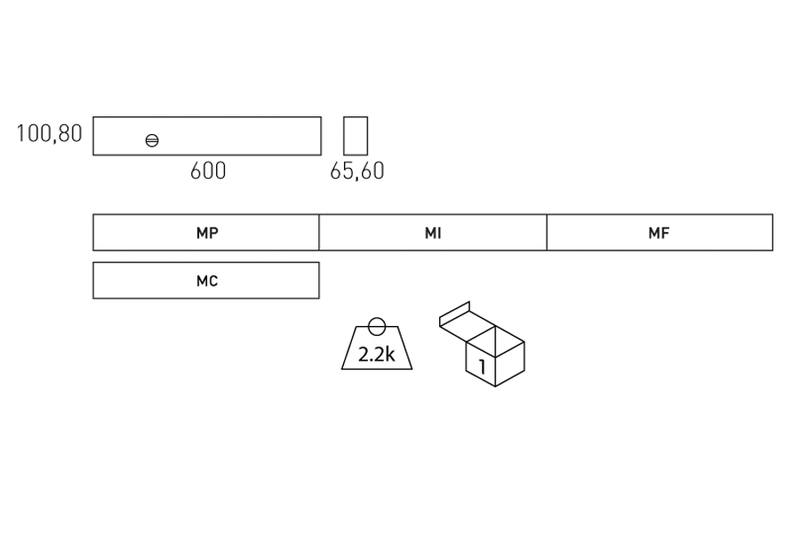 Aliket mounts a 4 positions selector, each one connected to a phase, which allows to turn on, to turn off and even left without power each module individually, without affecting the rest of the line. This allows an optimum energy efficiency, adjusting the amount of light needed. Material: Body made of extruded aluminum with baked paint coating. Optics: Novel PMMA transparent or matte optics that provides uniform illumination over the whole surface. 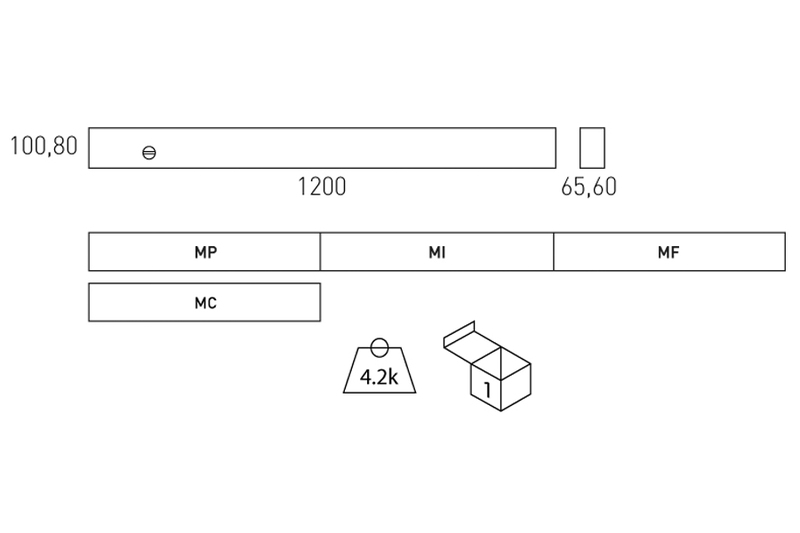 Supply: All models include high power factor drivers. Lamps: Modules by Osram LEDS with total power of 20W, 40W and 50W with Duris E5. And 30W ,60W or 75W by Oslom SSL. Installation: Directly to the ceiling or suspended. Colours: White, black, matt chrome and titanium. * Standardly supplied with 4000ºK LED. * Standardly supplied with 4000º K LED.